Our badge holders (or pin badge holders) are an easy way to make your own ID badges. 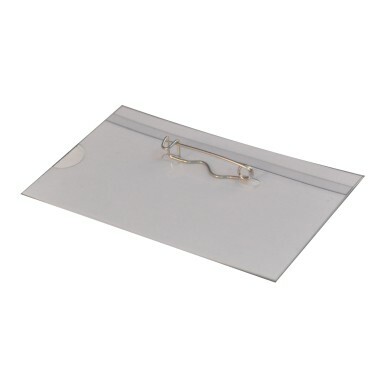 They are a clear sleeve of pre-formed rigid PVC into which you can slip an ID or business card. These badge holders come with a pin clip on the back to attach to your garment etc. Overall size 90mm x 57mm. Available in packs of 50 or 500.